Potted hydrangeas are decorative plants available for purchase during the spring months. The plants are bred to produce large flowers, which weaken the plants, so they are not hardy enough to grow year round in outdoor conditions. Supplying adequate water and pruning the hydrangea will stimulate the plant to produce new growth and re-bloom the following year. The hydrangea can be placed outdoors in partial shade conditions during the summer months but must be placed indoors before frost appears. 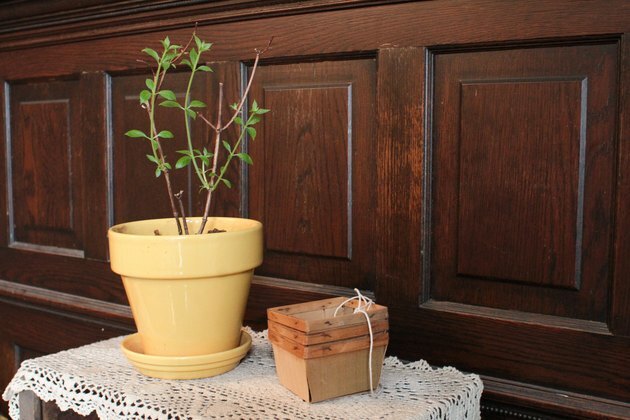 Place your potted hydrangea plant in a bright location that receives indirect sunlight during the spring months. Move your plant at night to a location with a temperature of 50 to 60 degrees F, as hydrangeas prefer cool nighttime temperatures. Water your plant to keep the soil moist. Water indoors by placing the hydrangea pot in a tray of water for approximately 45 minutes to soak the water through the bottom of the pot. 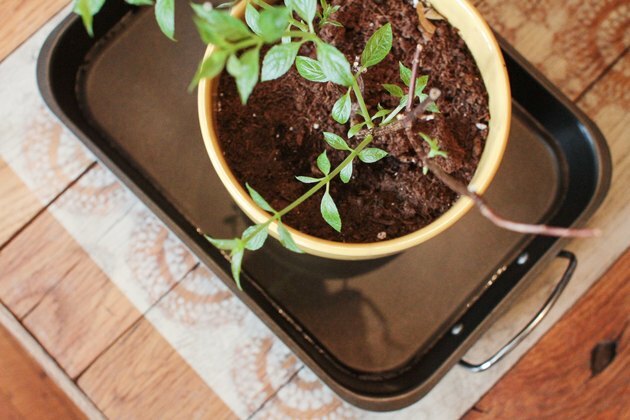 Remove the pot from the tray immediately after the soil has become wet. 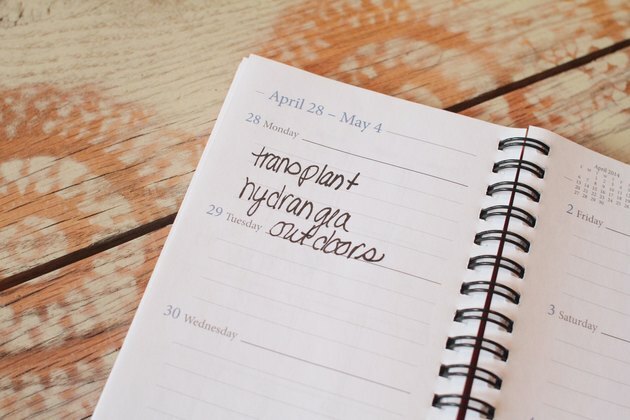 Do not let your plant dry out or sit for long periods of time in water. Plant your potted hydrangea outdoors once there is no longer a risk of frost. Plant the hydrangea in a soil that is nutrient-rich and retains moisture. The planting location should be semi-shaded to prevent overexposure to the sun. 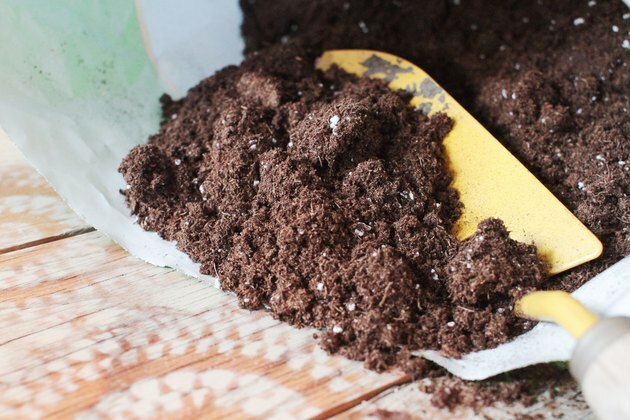 Fertilize your plant every two weeks with a complete liquid fertilizer when the growing season begins in May. Stop fertilizing in the fall season when the plant growth slows down. 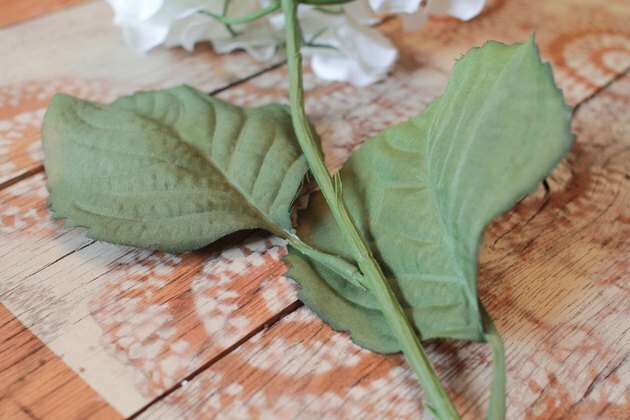 Remove extra shoots from your hydrangea to increase the flower head size. Cut to remove the plant's center, main shoots so there are only three developing on the entire plant. Cut the hydrangea shoots so that there are two pairs of leaves left on the each shoot once the flowering is complete. 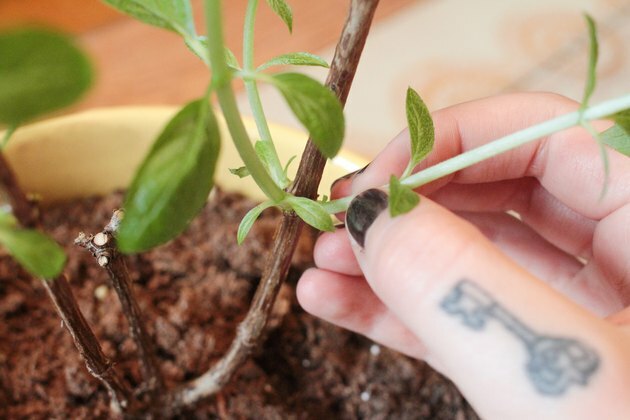 Pinch back long stem growth by removing several inches of new growth that develops in the month of June. 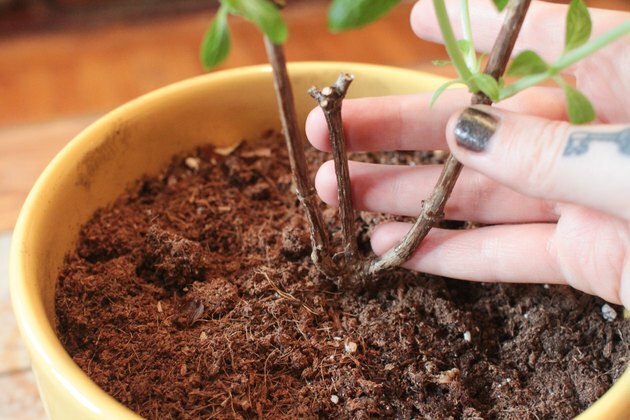 This will prevent your plant from becoming long and spindly. Do not pinch growth after the month of July. 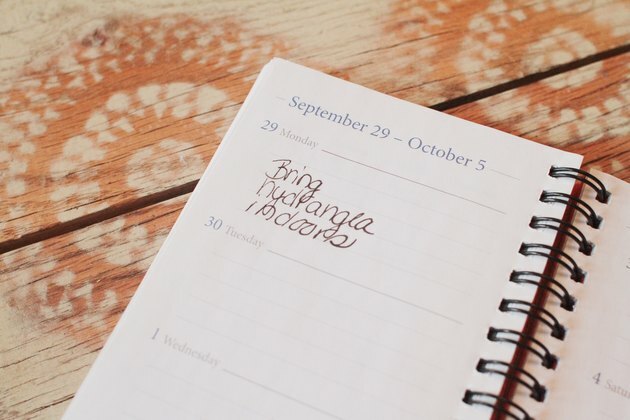 Bring your hydrangea inside just before the first frost. 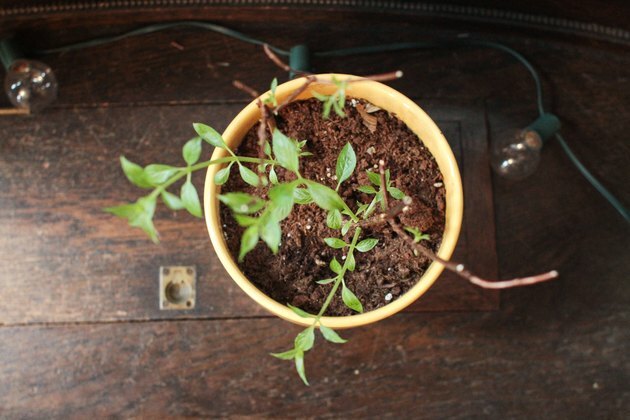 Place the plant in an area where that has total darkness until all the leaves have fallen off. 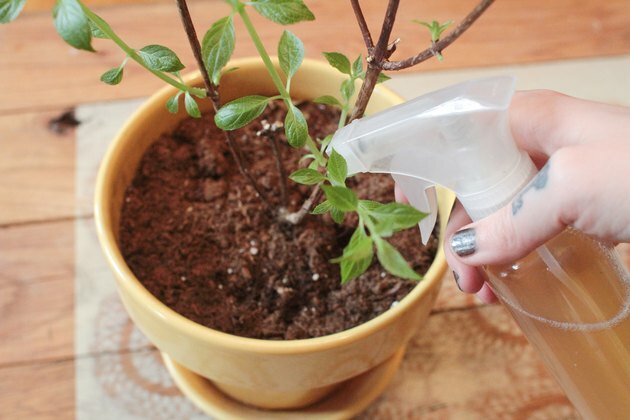 Move the plant to an area with a temperature of 35 to 40 degrees F and do not water it for six weeks. Move your plant to a sunny location indoors with indirect sunlight after the six-week cooling period. 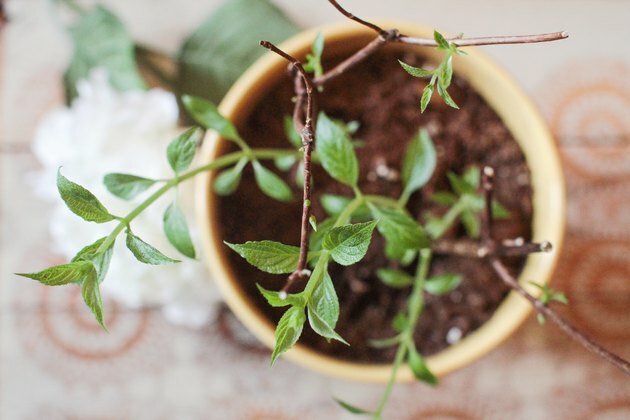 Re-pot the plant in a soil mixture that is equal parts high-quality potting soil and peat moss. Continue to grow indoors until there is no risk of frost.